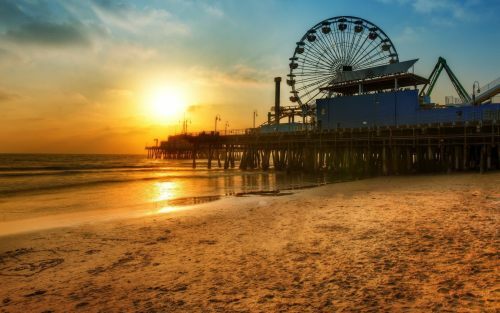 WestJet has dropped the price of their non-stop flights in April from Toronto to Los Angeles, California down to between $296 and $359 CAD roundtrip including taxes. Click on the departure date box to open up the calendar view and look for the cheap date combinations that are $354 CAD roundtrip. The price will show up as $247 USD roundtrip including taxes, which will work out to $338 CAD when booked using a Canadian credit card, and including the typical credit card foreign exchange fee. Update 3/21 - Non-stop flights from Toronto to Los Angeles, California in April can be booked today for $296 CAD roundtrip including taxes. The coupon code that makes this possible is available for today only. Dates over Easter are available. Update 3/21 @ 4:30 PM EST - The non-stop flights in April for $296 CAD roundtrip including taxes are sold out, but there are still non-stop flights in May for $20 more. On Priceline, the price will show up as $283 USD roundtrip including taxes, which will work out to $359 CAD when booked using a Canadian credit card, and including the typical credit card foreign exchange fee. toronto, yyz, westjet, flight deals, united states, california, north america, air canada rouge, los angeles and lax. 3 Responses to "Toronto to Los Angeles, California - $296 to $359 CAD roundtrip including taxes | non-stop flights"
I notice Westjet promo code fine print says you have to be a Westjet Rewards member as of March 20, 2017 to get the 25% off. Haven't put that to the test yet. Thanks Hamish. Testing it out, you can get all the way up to the payment page, and still showing the discount, without entering any kind of rewards number. So I don't think you really have to be a rewards member to get the discount.